Friend of The Shell Case, Gav Thorpe has been a busy boy. 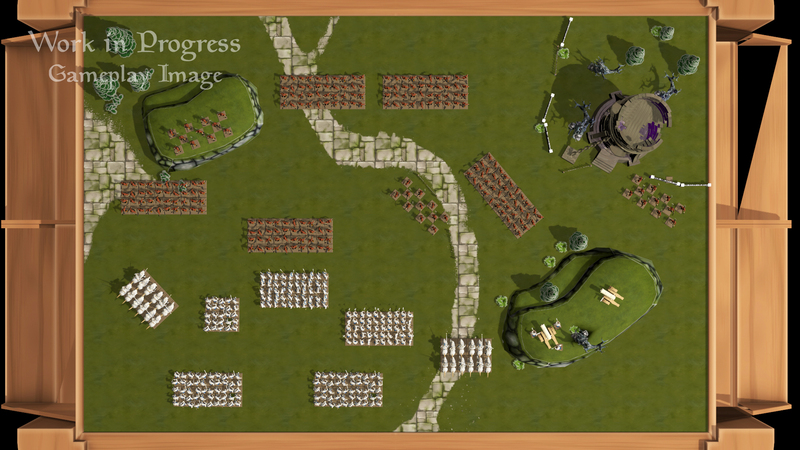 Not content with penning novels of various types he’s also been working with Warpforged Games to produce Mark of War – a tabletop wargame for the PC & Mac. No I haven’t hit my head. The idea is that you can collect armies just like you would in the physical realm, but in the virtual world of Mark of War instead. And then you get to watch them knock seven bells out of each other. What’s not to love? Launching on Kickstarter in August it looks the woeful Shadow of the Horned Rat only, you know, good. I think you’ll agree, it all looks rather groovy. It’s the answer that the ever-expanding and international community of wargamers needs. I’d love to play my fellow hosts on Of Dice and Men but in the absence of several thousand pounds to go and visit the only option up to now was Vassal. Which I hate. No offence to anyone who uses it but I can’t stand it. So Mark of War is very exciting indeed. Plus it’s a new fantasy world. Written by Gav Thorpe. Who has some experience in that area. So it’s going to be awesome. If we’re very well-behaved he might even write something about the game for us. Either head over to the Mark of War website or like their Facebook page to keep abreast of developments.